Almost everyone shoots photos and video. But how many people shoot multimedia? More than you might think. Multimedia apps — a hybrid that blends still images with a audio — provide a unique angle on visual sharing. Photos with a soundtrack are often easier to create and more engaging than video, naturally enhancing images without video’s complexity or time commitment. Multimedia photography can be more fun too, with better ways to incorporate humor and irony into the mix. We found 10 free iOS apps that can make your pictures talk and sing, with built-in sharing options to your favorite social networks. AudioSnaps — an app that shoots images with five seconds of pre-shot sound — stores all the audio-visual information captured inside of the JPEG. Recording the audio as you shoot, AudioSnaps captures pictures ready for sharing to popular social networks or for embedding in your Website or blog. You can like and comment on your own or others’ images and you can see who liked your pictures on Facebook and Twitter as well as the AudioSnaps site. Not everything needs to last forever, of course, and with AudioSnaps, you can choose to send expiring images that disappear after the recipient has viewed them. Flipagram lets you select images from your phone’s camera roll and albums, or Facebook and Instagram feeds, to create a sharable video photo album set to music. Upon launching the app, you scroll through your images to find a series of pictures that go nicely together — somewhat like a flip book. You can edit each photo by cropping, scaling, or duplicating; change image order or alter formatting; and either select music or record an original narration. 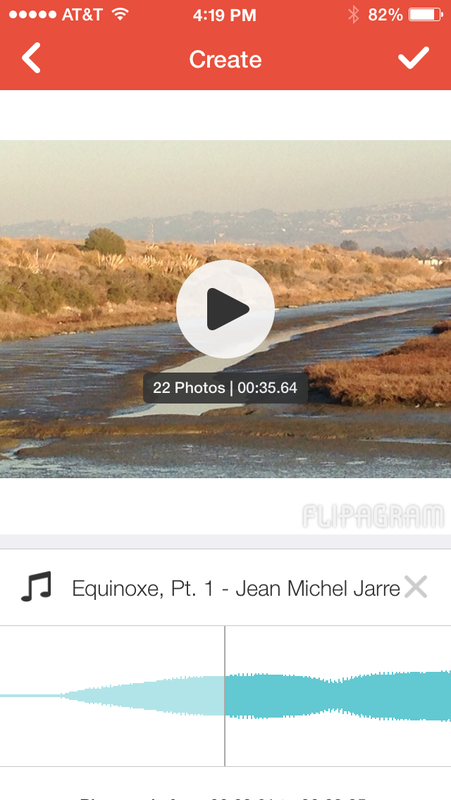 Flipagram lets you choose songs from your music library or select from millions of online song previews for free. You can buy songs from within the app too, but all songs must be downloaded to your device in order to use them. When you’re done, share to Instagram, Facebook, Twitter, YouTube, Tumblr, Email, Text, Pinterest, or WhatsApp. The app is also available on Android. Mupix, a platform for sharing music and images, is heavily geared toward music and social networking, with an intriguing, stylish, and upbeat look. Shoot stills with the app’s in-built camera or select photos from your camera roll; the music is derived from a pool of millions of commercially available tracks on iTunes, so you’ll always be able to produce a creative mix. Choose an artist, song, or album, and the app helps out with additional appropriate choices. You can also add a filter to your photo, if you wish. The Mupix feed encourages both new music and new friend discovery and the interface promotes conversations with other users. You can follow, like and comment on other entries or scan the Latest or Popular tabs. 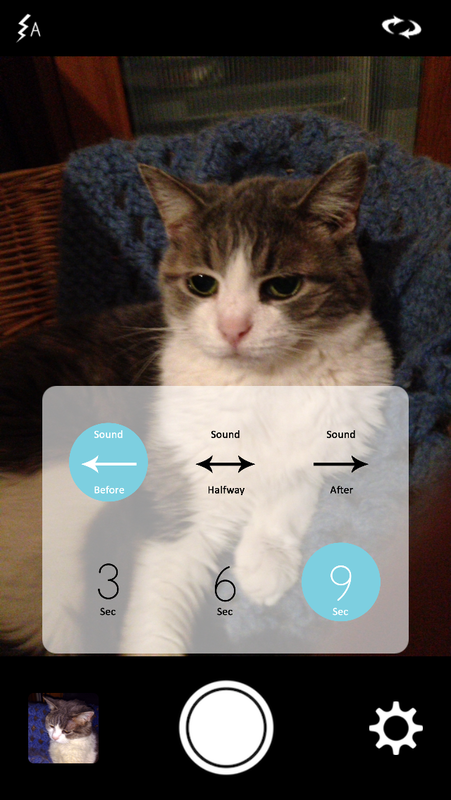 Phozo lets you take pictures that play back recorded sound. The app provides a number of ways to accomplish this: A quick Phozo lets you shoot and record ambient sound at the same time; or you can shoot with the app’s built-in camera; and finally, you can pull an older image from the camera roll and add a soundtrack. Filters and a cropping tool are on hand for quick fixes, but there’s no elaborate photo editing functionality within the app. 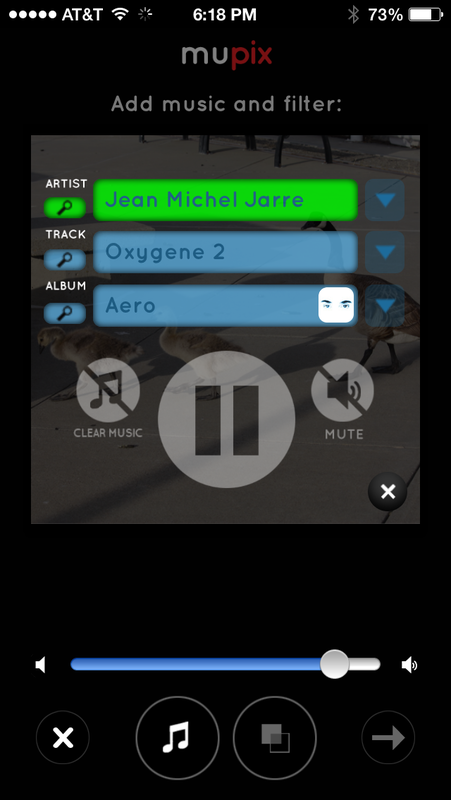 As you produce additional phozos, the app presents a gallery of pictures tiled across the screen, and tapping on any one plays the embedded sound. Signing in to Phozo lets you share your pictures with other users, while the app allows people to connect using their mobile phone numbers. As the only app in this group that’s specifically designed for the iPad, it’s not surprising that Shutterfly Photo Story goes for the large read. This easy-to-use, versatile app lets you create both online and hard-copy photo books complete with audio narration on each page. The settings and help icons walk you through the creation process. The Create panel is where you make major design decisions about what the book will look like, starting with choosing a theme. You can include up to 500 photos in your book, derived from Facebook, Instagram, or of course, Shutterfly. You can also use photos on your iPad or import photos from your hard drive via iTunes. If you’re a Shutterfly member, you can access all of your previous albums and projects by logging in, but the app is available regardless of whether you belong to Shutterfly. 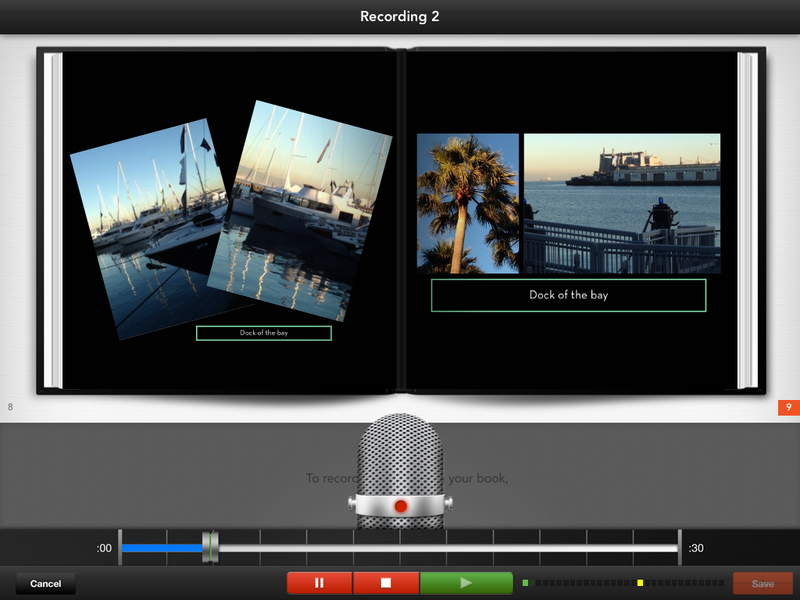 You can record 30 seconds of narrative for each page of your book. Recordings play back in the app, online, or via a QR code embedded in the printed book. To pick up the audio from a printed book, readers must download a QR code reader on their mobile device to scan the code. Shuttersong presents an easy way to pair still photos with an audio clip of up to 15 seconds for fun greetings, cards, and other messages. 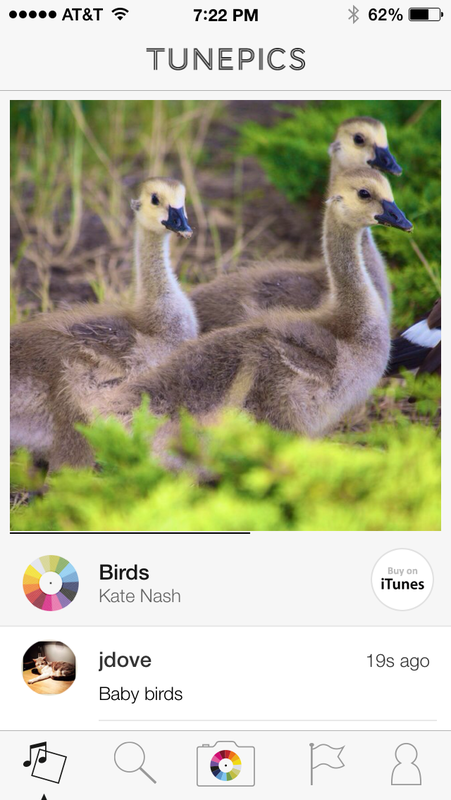 Use Shuttersong as a camera or use an image from your camera roll. 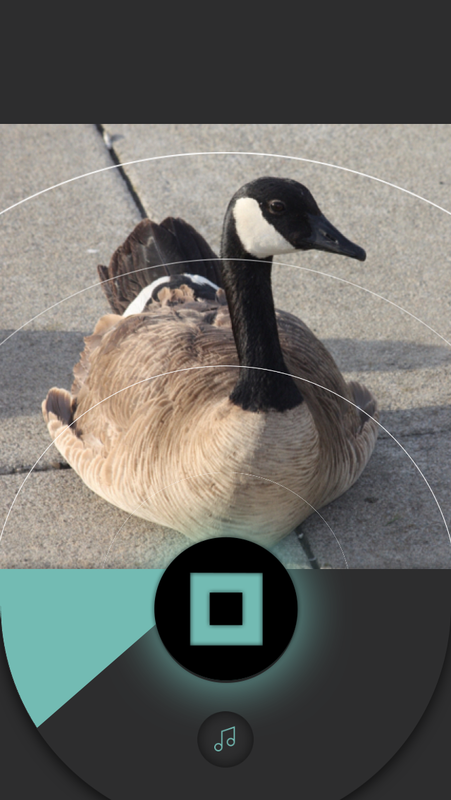 With your picture in place, you’ll see what looks like sound waves emanating from the center of the photo with a color bar indicating that the app is recording. Speak into the iPhone mic or just record the ambient sound or choose a song from your library. You can then share your file with the Shuttersong community, Facebook, Twitter or via text or email — or you can embed Shuttersongs in Web pages or blog posts. Shuttersong keeps all your shots in a collection within the app. All songs must be downloaded to your phone for embedding into the app, and it will give you an error message if your chosen song is still in the cloud. Snippit comes from the audio side of the audio-visual equation in that you start the process with the song rather than an image. Snippit, lets you cut a precise sound clip from any song in your music library, attach it to a photo, write a caption, and share it to Facebook, Twitter, Instagram and Tumblr. You can choose exact verses to accompany either to augment the image content or express a mood; you’re not limited to pre-set song previews. The app features music uploads of up to 10 seconds both by themselves or attached to photos. Built-in genres help you discover new music and search for unique posts by genre, trend and hashtag. The app offers direct links to the iTunes store to purchase songs you like from Snippit posts. Soundpix is for photographers who don’t do video, but still want the real-time atmosphere that only an audio-visual presentation can give. This app lets you capture the entire experience of a place or event without forcing viewers to sit through endless, poorly shot video. Soundpix has a couple of simple controls. Launch the program, and tap on the gear icon where you can set parameters for your sound file. Choose to record in three-, six-, or nine-second increments before, halfway through, or after your shot. Then shoot your picture. There’s also some streamlined filters you can use to fix your image. You can save the resulting image to your camera roll, but the app does not do this automatically. 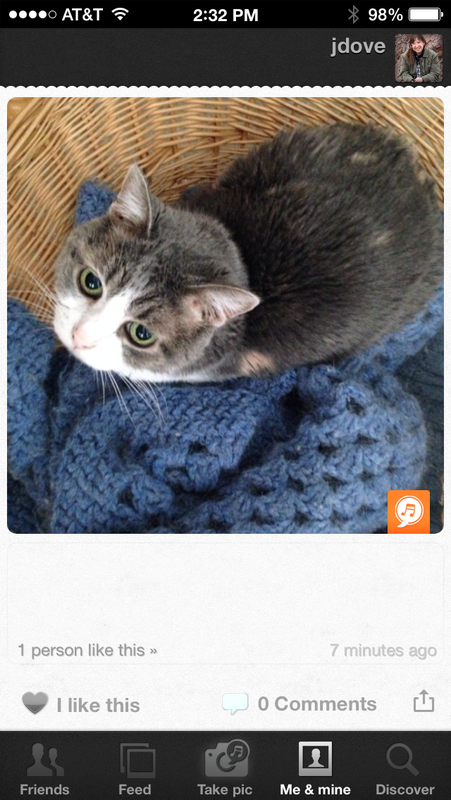 Tunepics is all about sharing emotions via images, music and color. The app opens to a tabbed interface where the main point is to either shoot or find an image (from you camera roll or Instagram) that expresses your feelings at the moment. 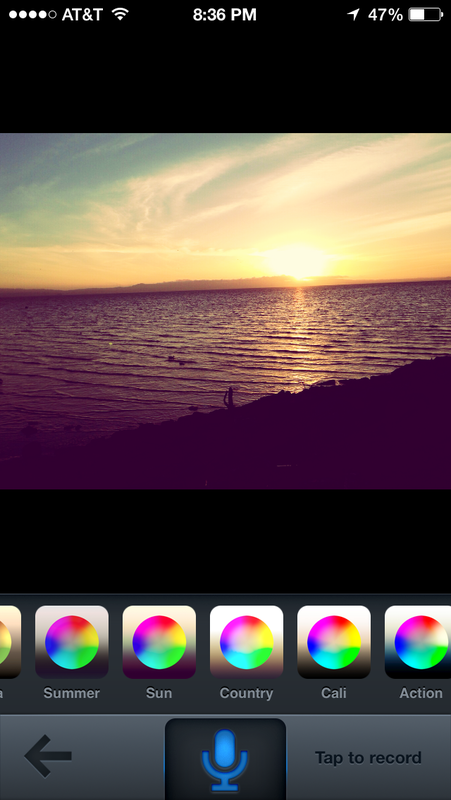 Then, you set it to a musical track, choose from 18 photo filters, and select a color to represent your mood. A built-in wheel offers pre-set color coded moods. The tracks, pulled directly from Apple Store previews, are available for free, and you can also choose to purchase any song you like. 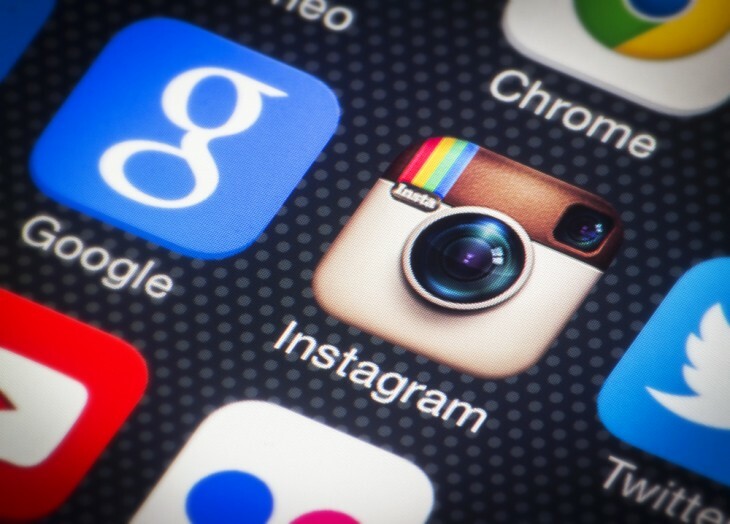 Tunepics concentrates on social networking in that it actively encourages you to find Facebook and Twitter friends and to follow other Tunepics users. You can comment and like other entries and communicate with specific groups of people by posting with hashtags. VoxPixl lets you enhance your still images with voiceovers, facilitating the recording of up to 30 seconds of commentary for each picture. The app provides a unique text-to-speech capability, powered by voice-recognition technology from Nuance, that is surprisingly accurate. 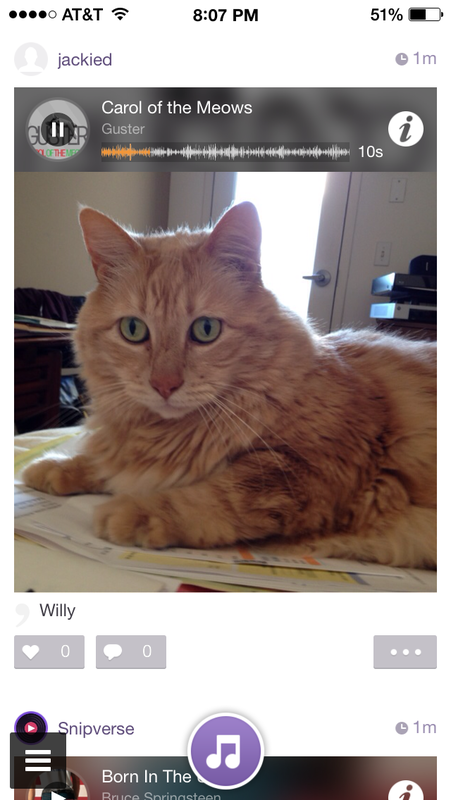 Just record a voice caption, and the app will automatically transcribe it. You can also edit the entry. Why automatically translate narration into text? For one thing, it will help you search for photos and other references in your collection more easily. Once a voice caption is saved to the photo, it can also be shared across social networks, text, email and the Web. 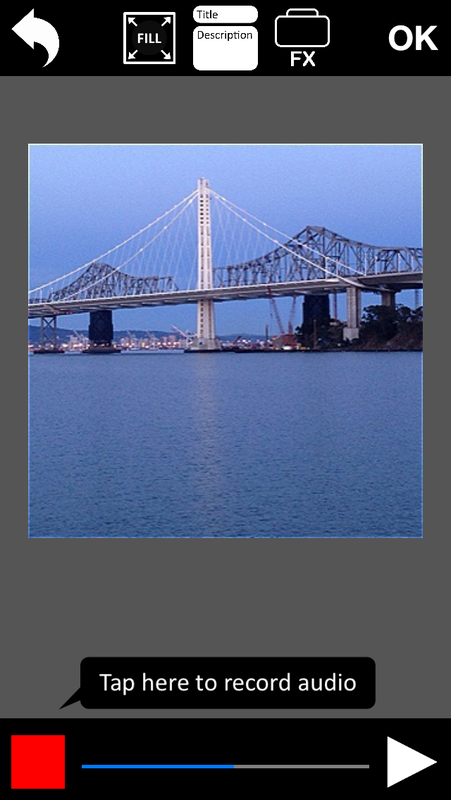 The app, which is available for Windows Phone, also offers a large number of filters for photo enhancements.